There are essential building blocks for a healthy relationship, and the foundation upon which you build your relationship begins with either Positive Sentiment Override or Negative Sentiment Override. This refers to knowing your partners’ world and showing an interest in his/her life whether it be work, family, or self. Love maps are especially important to learn in times of little or no conflict in the relationship. Fortify your ship in calm waters for future rough seas. Some dating TV shows reflect this concept by quizzing the couples on how well they know their partner. The more intimate your knowledge of each other is, the more defined your love map will be. Find out the underlying reason for the conflict and how to meet both partners’ needs. The goal here is avoiding gridlock when addressing problems. During conflict resolution, it is crucial to understand your partner’s goal in the matter. We commonly make assumptions about what our partner wants and why they want it, often missing what they really want and the important reasons for it. To learn more about Dr. Frankie and her work on relationships and dating, visit DrFrankie.com. 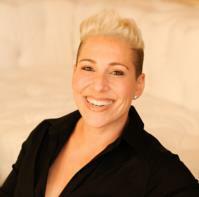 She is the CEO & Founder of LittleBlackBookMatchmaking.com, which specializes in personalized matchmaking for singles. You can follow Dr. Frankie Bashan on Instagram, Twitter and Facebook.